Cothrom co-obrachaidh le Màiri Anna is Griogair ann an Taigh Òran airson òrain ùra a dhèanamh agus airson mac-meanmna is misneachd a dhùsgadh. Tha fàilte ro sgrìobhaichean ùra agus daoine aig a bheil eòlas air an obair mu thràth. A chance to work on new Gaelic Songwriting with Mary Ann and Griogair. Inspiration and inventiveness will be encouraged through a series of workshops and tutorials. This Gaelic immersion course is open to both experienced songwriters and those new to the craft. Màiri Anna NicUalraig – a’ buntainn ri Gàidheil Ghlaschu, le dàimh do Thiriodh agus dhan Eilean Sgiathanach, agus tha beatha Màiri Anna air a bhith làn de cheòl ’s de dh’òrain. Mar bhall de theaghlach ainmeil a thaobh seinn, be ceòl ceithir thimicaeall oirre na h-òige. Fhuir i oideachadh clasaigeach aig àrd-ìre, agus bha i fiù a’ stiùireadh seirbhis naidheachdan Ghàidhlig a’ BhBC greis, agus tha i an-diugh na sgrìobhaiche, ceòladair, craoladair agus riochdaire, stèidhichte an taobh siar na Gàidhealtachd far a bheil i a’ ruith Watercolour Music le a cèile is co-cheòladair, Nick Turner. Chuir i seachad a’ mhòr-chuid dhe a beatha a’ co-obrachadh agus a’ brosnachadh dhaoine eile. Chuir i Cliar air chois, còmhlan a choisinn àrd-dhuais nan clàr aig Duaisean Ceòl Dùthchasach na h-Alba; choisinn i farpais clàrsaich eadar-nàiseanta Lorient dà thuras, an dà bhonn òr aig a’ Mhòd Nàiseanta, agus chaidh duais Crann na h-Alba a bhuileachadh oirre airson a h-obrach, Lasair Dhè. Chaidh grunn obraichean-sgrìobhaidh iarraidh oirre a’ bharrachd, nam measg a’ chiad PRSF New Music Biennial do gheamannan a’ Cho-fhlaitheis an Glaschu, agus Ceòladair air Mhuinntearas aig Sabhal Mòr Ostaig. Bhuail i air obair air a ceann fhèin ann an 2017, mar sgrìobhaiche agus seinneadair agus dh’fhoilisich i a’ chiad chruinneachadh de dh’òrain ùra i’s ùr-nodha air a’ chlàr, An Dàn air ARC Music. Nochdaidh an dàrna clàr, Glaschu san t-earrach 2019. A Glasgow Gael with Hebridean roots, Mary Ann Kennedy’s whole life has been music. From a revered trad music family, her earliest memories are of a home filled with song. A hothouse classical training – and a brief diversion running the BBC’s Gaelic news service – led to a career as musician, broadcaster, composer and producer, based in the West Highlands where she runs Watercolour Music with husband and fellow musician-producer Nick Turner. Most of her life has been making music with others – collaborating, nurturing, inspiring. A founder member of Cliar, ‘All-time Best Album’ winners at the first Scots Trad Music Awards, she’s also twice winner of the Lorient Concours International de l’Harpe, double Gaelic Mòd gold medallist, and Saltire Award winner for ground-breaking choral work, Lasair Dhè. Commissions include the first PRSF New Music Biennial (Glasgow Commonwealth Games) and Musician in Residence at Scotland’s Gaelic college. In 2017, she stepped forward as soloist and writer, with her debut album on ARC Music, ‘An Dàn’ (The Song), a unique collection of new Gaelic songwriting. The follow-up – ‘Glaschu’ – is released in spring 2019. Griogair Labhruidh ’S e seinneadair tradaiseanta Gàidhealach fa leth a tha ann an Griogair Labhruidh edar stoidhle nan Eilean Siar agus Earra-Ghàidheal. ’S e pìobaire gu math comasach a th’ ann agus tha e a’ sgrìobhadh an dà chuid ceòl agus bàrdachd. Tha Griogair a’ buntainn ri teaghlach nan Labhrach bho cheann a tuath Earra-Ghàidheal, teaghlach a tha ainmeil airson ceòl Gàidhealach, agus ged a thogadh e fhèin air taobh Loch Laomainn, chaidh a bhogadh ann an dùthchas a’ mhuinntir bho òige. 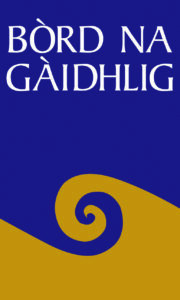 Moniack Mhor are very grateful to Bòrd na Gàidhlig for support to enable us to offer this course fully in Gaelic. This course is only suitable for fluent Gaelic Speakers. This course is fully supported by Bòrd na Gàidhlig and Moniack Mhor. There is no charge to participants. All accomodation, meals and tuition are provided.